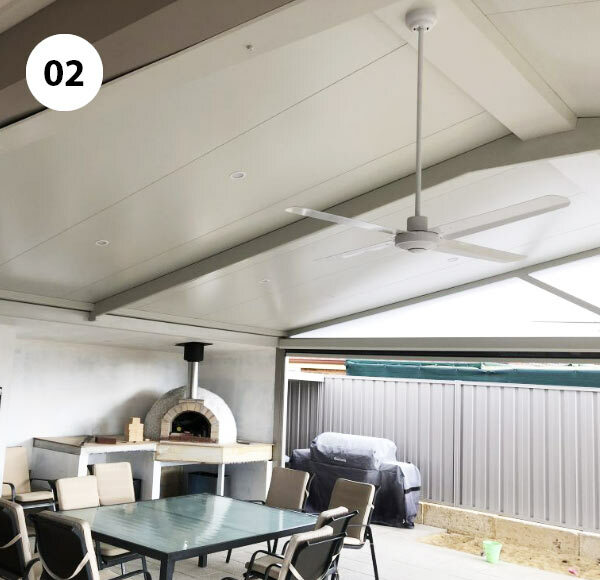 COOLDEK® insulated roof panels protect your alfresco area, keeping you cool in summer and keeping the warm in winter. Your alfresco/patio dining and entertainment events will be comfortable even in extreme weather conditions. 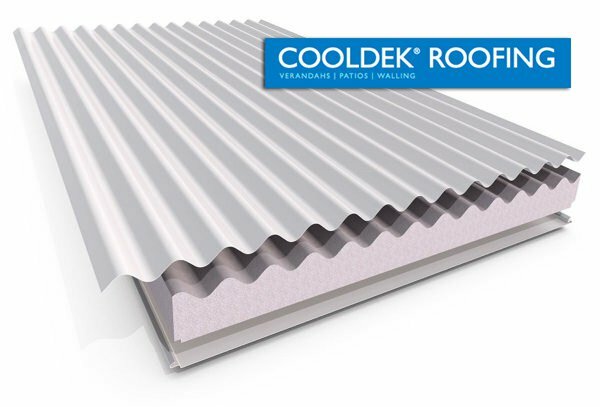 The COOLDEK® insulated panels provide three functions: roof, insulation and a ceiling-like finish, all in one product. The thickness of the COOLDEK® panels provide superior span distances and market leading insulating performance. COOKDEK® insulated roofing adds value and comfort to your patio/alfresco living area year round. 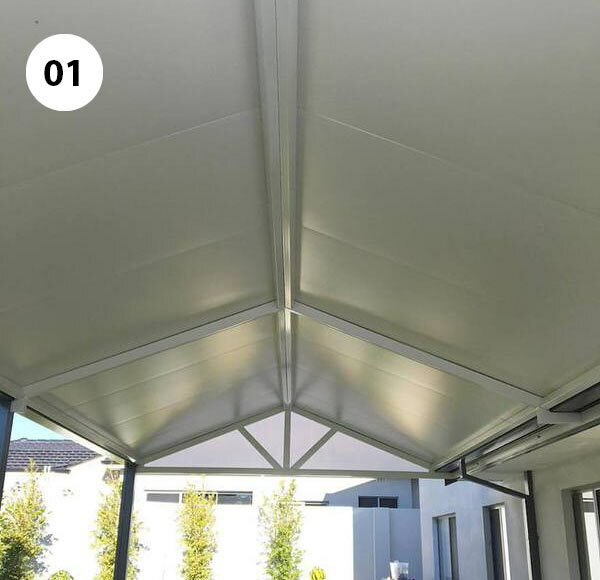 COOLDEK® is also perfect for carports, room extensions, stables, farm equipment sheds, granny flats, alfresco dining, commercial buildings, workshops, pools shelters, pergolas and gazebos. COOLDEK® roofing is extremely rigid and can span up to 7 metres between supports. Long span distance reduces the number of supporting beams and framework structure, which creates an uncluttered and smooth ceiling-like appearance. COOLDEK® roofing panels are designed for easy assembly and purpose designed interior channels to conceal electrical wiring for lighting, fans, outlets and audio/video system cables. COOLDEK® has been designed, engineered and tested to comply with applicable Australian Standards. 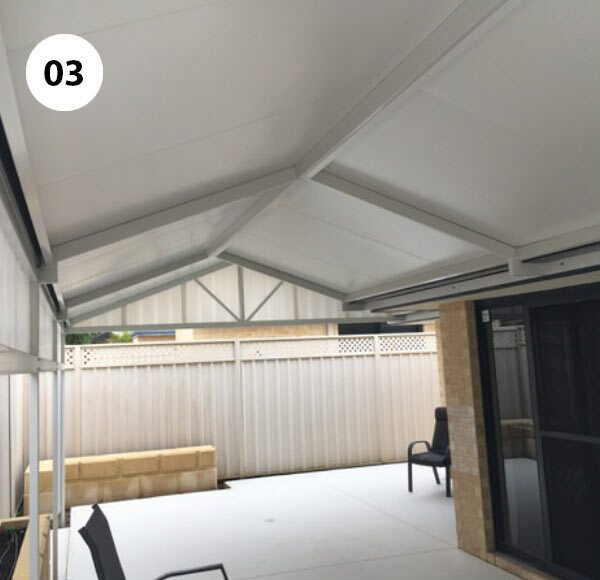 COOLDEK® is manufactured using Bluescope® steel and finished in your choice of ColorBond® Colours.